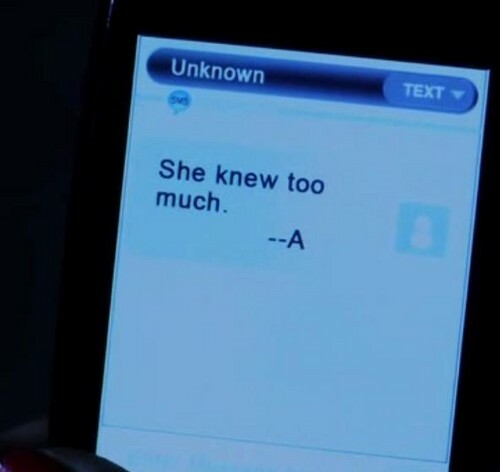 message from A. . Wallpaper and background images in the Pretty Little Liars TV دکھائیں club. This Pretty Little Liars TV دکھائیں photo might contain آئی پوڈ, ipod, ویڈیو کو آئی پوڈ, video ipod, and ویڈیو آئی پوڈ.